This pattern is the love child of a few olive imitations that have worked very well for me for some time. I was looking at my fly tying to do list for the spring recently and saw "LDO and BWO adult". Rather than leaping into tying the patterns that worked well last season I said to myself, "Slow down, relax, think about the objective here, maybe there is an opportunity to evolve and create something better. ": So I did and there was. I like adults that ride low in the water, almost like emergers in posture. 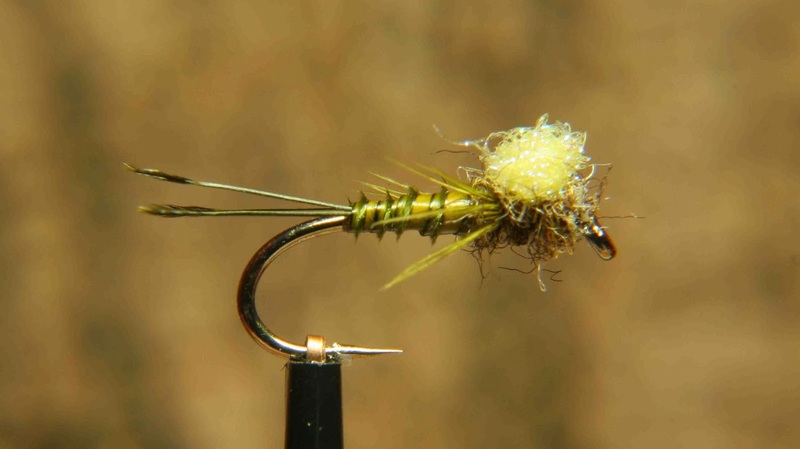 In fact, I probably prefer emergers over true "dries" when imitating uprights (or mayflies as they're known outside the UK). I have combined what I believe are the "best of" triggers from a few patterns which when combined could make for an amazing olive or BWO (or any upright) emerger. We will know in a few weeks time when the season opens on the chalkstream down the road. The abdominal gills say "yes, I'm the real thing!" The comparadun hackle gives the right impression of legs (not pin pricks but fibres lying horizontal). The plume tip announces itself to fish as it floats downstream "emerging upright coming through!" The patterns that led to this? Keith Wallington. Simple theme. Powered by Blogger.